Thumbay Physical Therapy & Rehabilitation Hospital is the biggest and most advanced rehabilitation hospital in the UAE, providing comprehensive therapy service in a positive and supportive environment, with dedicated staff who promote and encourage independence. Its out-patient department is constructed in three floors in an area of 60,000 square feet, and offers a unique continuum of care that no other medical provider in the country can match. At our high-tech facility, you are assured that your individualized plan of care will provide you the best possible recovery.Our rehabilitation team boasts skilled professionals who specialize in senior rehabilitation and are committed to your success. Physician specialists work closely with our rehabilitation team to direct your individualized therapy treatments and maximize your physical improvement. Therapy programs are also offered for pain management, balance training, fall prevention and cardiopulmonary care. It’s part of our holistic approach, which acknowledges that your particular path to healing and recovery is best served by considering all aspects of daily living. The outpatient department of the hospital offers neurocognitive rehabilitation to help brain-injured or cognitively impaired individuals to regain normal functioning. 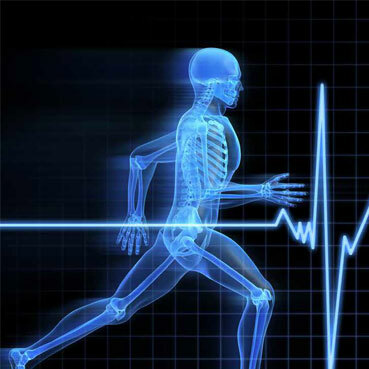 Sports medicine is yet another important area, and the hospital is fully-equipped for the diagnosis, treatment and management of sports injuries and musculoskeletal disorders in national and international level sportspersons and athletes, as well as providing complete care for teams. Orthopedic medicine is also available at the hospital, for the prevention and correction of fractures, deformities, disorders, injuries and diseases of the bones, muscles, ligaments, tendons and related tissues. Spread over three floors, the hospital features cutting-edge amenities for physical therapy, such as Hydrotherapy Pool, Robotics and a unique Full Body Cryotherapy Chamber. One of the most remarkable component of the inpatient facilities at the hospital is its ‘Therapeutic Garden’, an innovative approach to rehabilitation intended to give patients a positive experience during their recovery. The Therapeutic Garden will improve the patients’ balance, walking, and other life skills, helping them recover from stress and promote health. The hospital also has gyms for the convenience of patients. The 500-bed Thumbay Hospital at Thumbay Medicity complements the facilities of Thumbay Physical Therapy and Rehabilitation Hospital. It has 50 dedicated inpatient beds for physical therapy and rehabilitation patients. Vision: To be the leading rehabilitation facility in the Middle East. Mission: To provide patient-centred care of the highest quality in an academic set up. Thumbay Physical Therapy and Rehabilitation is a one-of-its-kind advanced facility that offers comprehensive rehab. Cutting-edge & innovative technology introduced in the region. The facility exclusively has 50 inpatient beds at the upcoming Thumbay University Hospital.